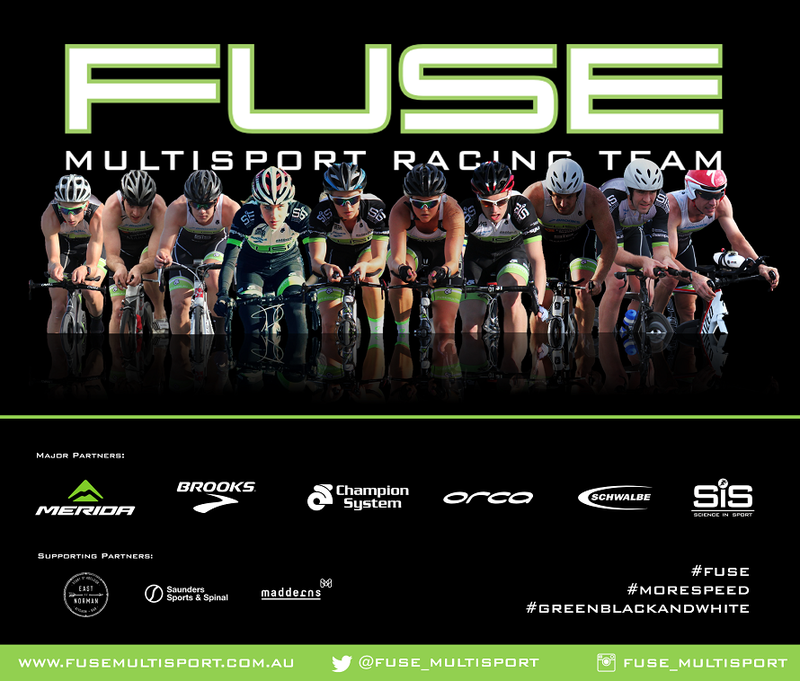 August 31, 2012, Adelaide: For Fuse Multisport Racing Team athletes Ella Holmes, Sam Tebeck, and Ben Tripodi, and coach Steve O’Brien, season 2012/2013 is going to be a busy one. But, after completing an extended winter training schedule, for Holmes, Tebeck and Tripodi the 2012/2013 season can’t commence soon enough. “We completed a very big base phase over Winter”, Tripodi said. “We’re ready to get back into some racing”. That racing begins in 5 weeks. After attending a pre-worlds training camp in September, the team will begin its 2012/2013 campaign with a racing schedule which includes the 2012 ITU World Triathlon AG Championships (New Zealand), two Australian championship events, major multisport events in South Australia and Queensland, as well as local events. 18 year old Tebeck is looking forward to more opportunities to test himself against interstate athletes. “Last year was about getting some race experience at some large interstate events”, Tebeck said. “This year, the plan is to build on that experience”. The team’s first major event, the 2012 Australian Duathlon Championship, will provide valuable race practice for the team in the 2-weeks leading up to the World AG Triathlon Championships in New Zealand on 22 October 2012, where fellow squad member Sam Bolch will take part in the sprint distance and aquathlon events. The team’s National racing program will continue in early 2013, with racing at the Geelong Multisport Festival, the Australian AG Olympic Distance Championships (Devonport, Tasmania), and the 2013 Victor Harbor triathlon world championship qualification event. Ella Holmes will then return to the Mooloolaba triathlon, after a strong performance at last year’s event, her first. “I’m looking forward to racing in Mooloolaba again”, Holmes said. “We learnt a lot from last year’s event”. According to O’Brien, the February-March period will be very challenging. “The February-March period in the calendar is very busy”, O’Brien said, “We have four major events in 5 weeks, with Geelong, Devonport, Victor and Mooloolaba, and we’re looking at whether we can fit the Luke Harrop Memorial in as well”. The team’s International and National racing schedule would not be possible without the support of its major partners, Brooks Running (Australia), Champion System (Australia), Science in Sport (Australia) and Madderns Patent and Trade Mark Attorneys, and its supporting sponsors Dancorp Serviced Offices and Saunders Sports and Spinal.